A councillor has slammed an anonymous note left on a rough sleeper’s bedding – by someone threatening to throw it away. The mysterious letter said the homeless person’s belongings would be ‘disposed of’ if they were left in a walkway. 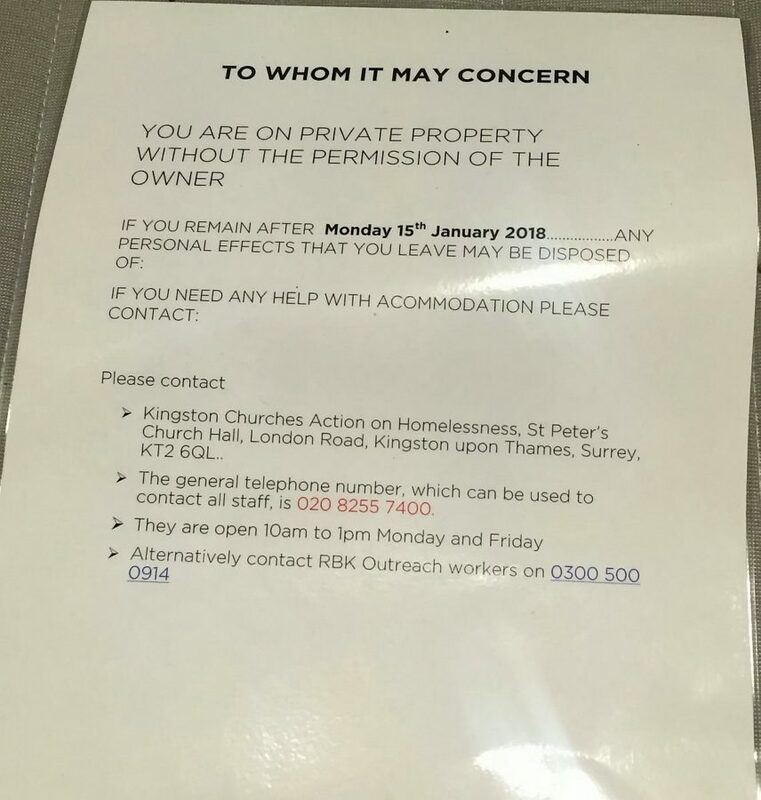 It was left on the bedding in a walkway in Kingston-upon-Thames, south west London, on January 10, and gave the homeless person just five days to move their things. “You are on private property without the permission of the owner. “If you remain after Monday, January 18, any personal effects that you leave may be disposed of. Shopping centre owners have confirmed they did not leave the letter, and the council are not aware of the author’s identity. Liberal Democrat Cllr Jon Tolley said he was ‘not sure what the answer on this is, but can’t help but feel this isn’t’. The Banquet Records shop owner wrote a reply to the note, which said: “No-one should be taking anyone’s bedding, without the permission of the owner. “If your bedding is taken from you after January 15, remember there are people who care who will help sort you out. “But no one should have their bedding ‘disposed of’. “As your local councillor I’ll work to stop this happening. Local residents are outraged at the letter, particularly in the middle of the winter. Cllr Tolley added: “It just seems wrong to me. “What a strange thing that it wasn’t from anyone and was so unnecessarily harsh. “I know it’s a difficult situation and sometimes property owners need to move people on but to threaten to remove their bedding is an inhumane way to deal with it. 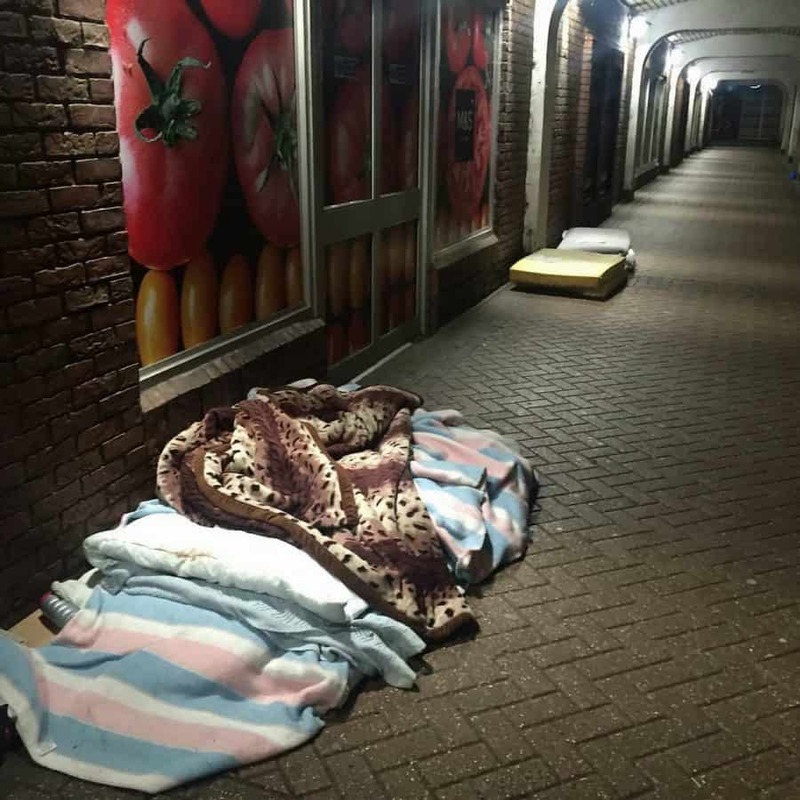 “Everyone’s denying responsibility which leads to one of two conclusions – someone working for the shopping centre without the authority of it, or a local person with a laminator with a desire to rid the town centre of what they see as unsightly homeless people.